Members of a community church have thanked local residents who completed a questionnaire on ‘what hurts most’. In March, Hope Church surveyed Bedlington and the surrounding area asking people which aspect of life they found most difficult or caused most pain, with ‘living in a forgotten town’ top of the list. Volunteer Megan Warren, who organised the survey, said: “We received over 350 responses and we want to thank everyone who took time to complete our survey. 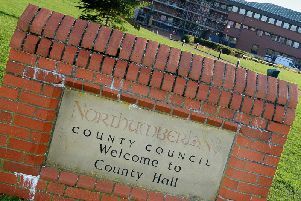 A meeting will be on Thursday,June 7, at 3.45pm at Bedlington Community Centre to discuss the issues raised.